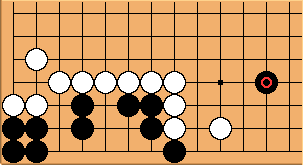 White plays and kills. 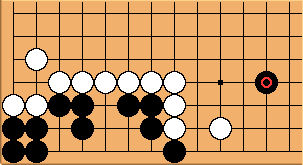 What is the size of the board? Denis Feldmann suggests this version. 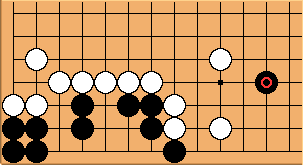 The motivation is to make a geta impossible for White, so White has to drive Black to the opposite edge in a variation that only works on a 19x19 board.